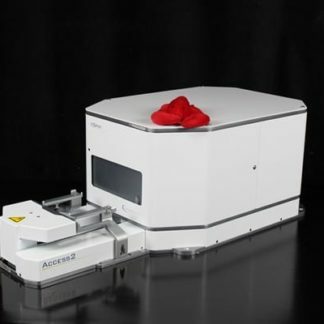 The Agilent Microplate Centrifuge (formerly Velocity11 VSpin) is a small robot-accessible automated centrifuge. It also provides both vibration and noise control in a small, low-maintenance package. Ideal for high or medium-throughput applications. The Microplate Centrifuge is capable of rapid acceleration and deceleration (a customizable setting), minimizing the required cycle time. It is excellent for filtration protocols, air bubble removal in high-density microplates and spin-downs including cells and cellular debris. A solid and efficient design allows Microplate Centrifuge units to be stacked to save space. The door design allows for access to the buckets by a range of articulated robots, for high throughput applications. For robots that cannot reach through the door, the Automated Centrifuge Loader allows unobstructed accessibility. 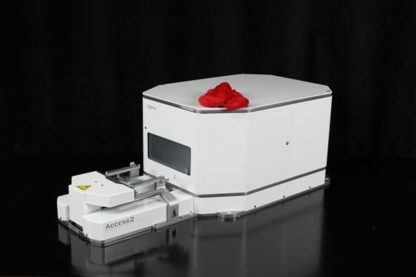 With a three-second loading time and robust motion control, the Automated Centrifuge Loader can be accessed by most laboratory microplate handlers/robots. ALE fully supports and services the Agilent VSpin.